Kendall County Attorneys Serving Divorce and Family Law Clients for Over 40 Years. Kendall County Attorneys Serving Divorce and Family Law Clients for Over 80 Years. Dealing with any legal matter can be a stressful experience, but family law matters are often overwhelming, as so many emotions and stakes are involved. 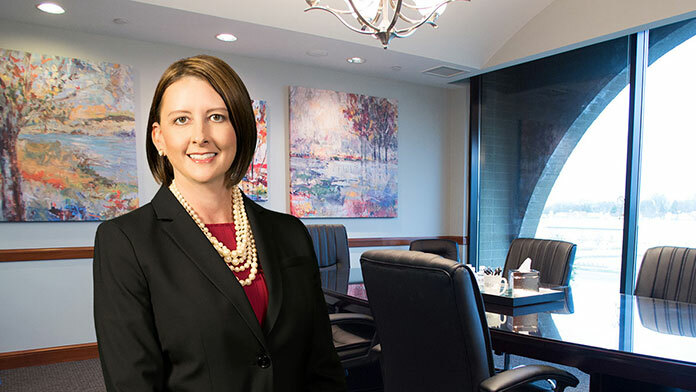 At the Kendall County family law firm of Goostree Law Group, we strive to make the legal process as minimally stressful as possible while achieving our clients’ goals. Our attorneys are skilled in handling all aspects of family law, including divorces and all related matters. No matter what your legal concerns, we are prepared to work with you to resolve them in the most successful manner possible. Experience matters in the practice of family law. Just as every family is unique, the circumstances of a family law matter are often very specific to each family. Our attorneys have decades of experience working on all types of family law cases imaginable. Our clients benefit from our diverse experience and often find that we have handled many similar situations in the past. Our extensive experience also extends to managing the difficult emotions involved in many family law matters. When dealing with divorces, child related disputes, and property disputes in particular, tempers can run high. We strive to resolve your family law matter as amicably as possible while protecting your legal rights and personal interests. With competent and rational legal representation, it is often possible to resolve your issues efficiently and favorably with minimal acrimony. A significant amount of our cases are resolved through negotiation, which is the best way to achieve a positive resolution in a cost-efficient manner. Even outside of court, our attorneys vigorously represent our clients’ objectives. When necessary, however, we will strongly advocate for our clients and their children in court. As skilled litigators, we are always prepared to present a compelling case before a judge. To learn more about how we can assist you with your divorce or family law matter, contact us at 630-882-5668 to schedule a free consultation. Whatever questions you have about the legal process, we will answer them. From your initial confidential consultation throughout the duration of your case, we will provide reasoned, reliable legal advice and help you make informed decisions. We work with clients throughout Northern Illinois including Kendall County and the surrounding areas. As of July 1, 2017, the law governing child support in Illinois has changed. The method for calculating the amount of child support payments paid by a non-custodial parent to a custodial parent has been significantly revised. Click here to see how child support calculations have been affected. "Dear Tricia- Firstly, THANK YOU!!! I was so pleased with everything you did today. You were direct and confident and focused and without your direction, it would have stalled once again. I’m really happy a big step forward was taken!"